Happy weekend everyone! 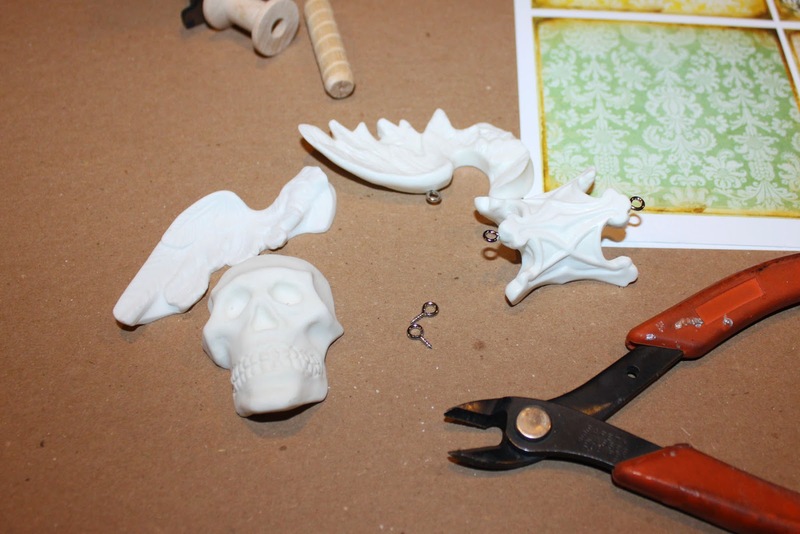 We have several cool new goodies in the shop for you this week! 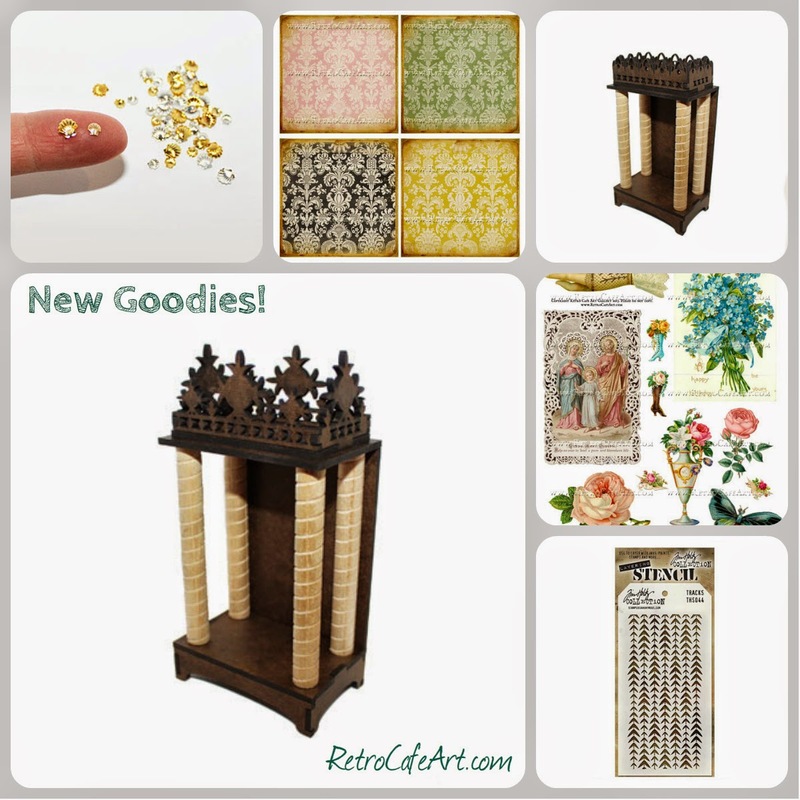 Two fabulous new Altar Shrine Kits, NEW Tim Holtz Stencils (and lots of others restocked), Collage Sheets, and a restock of the gorgeous RELICS & ARTIFACTS line by Sandra Evertson! Of course I couldn't wait to play with the new RELICS and ARTIFACTS, just like all of you! 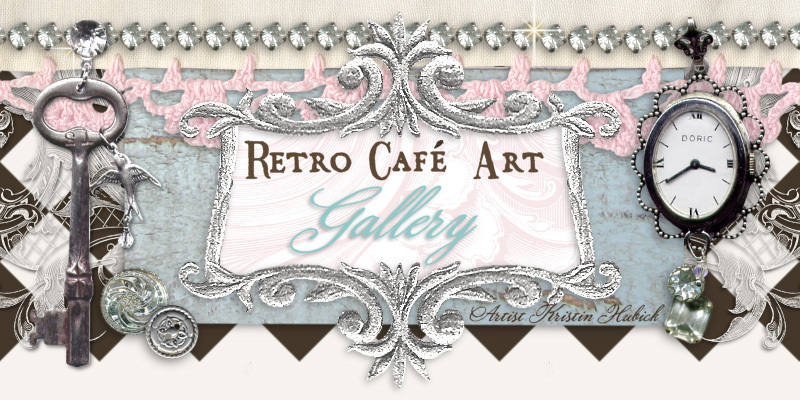 I also knew from the very beginning how perfectly they would go with all of the Retro Café Art Gallery goodies. After designing the new Majestic Altar Shrine this week, I had to play with it too! I used the Ancient Soul Relics and Artifacts set, but so many others would work just as well! 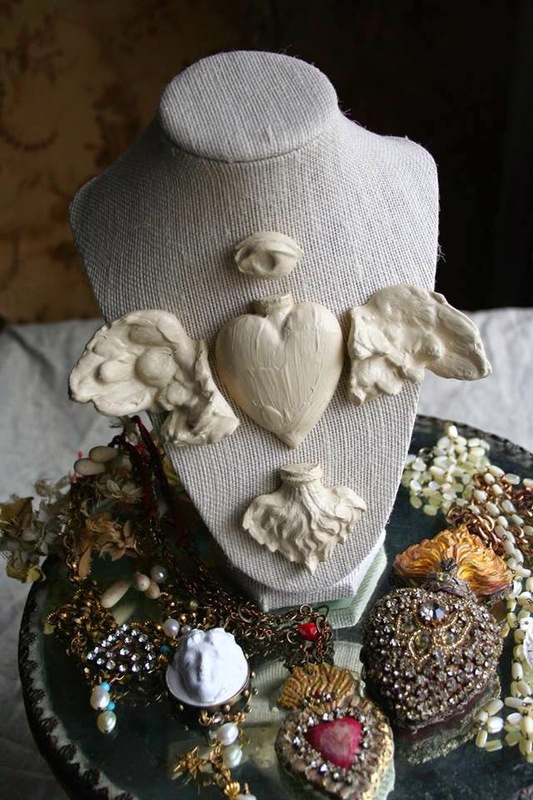 I think a heart would also be SO gorgeous! I absolutely love the way my Majestic Shrine turned out! It's even more sparkly in person! I started by removing the eye screws from my Relics. Simply give them a few twists with some pliers, and you can unscrew them very easily! Sweet! 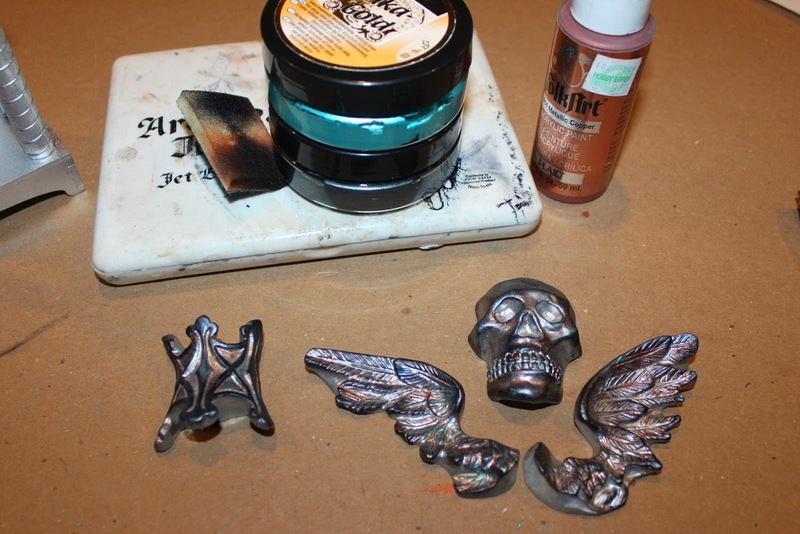 I gave everything a nice basecoat using Krylon spray paint in silver. 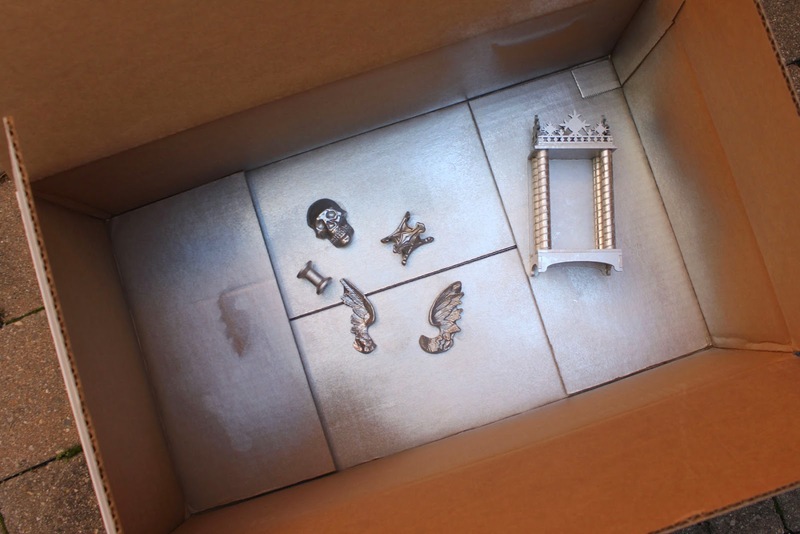 TIP: Spray your pieces outside in a box for easy peasy clean-up. The Relics took the paint perfectly! Next I added some copper acrylic paint here and there (applied with a sponge brush), followed by Inka Gold Turquoise and Graphite (applied with my finger) to the high points of the Relics. The intricate detail of the Relics makes them perfect for Inka Gold! Finally I darkened the pieces a bit by added some black archival ink. 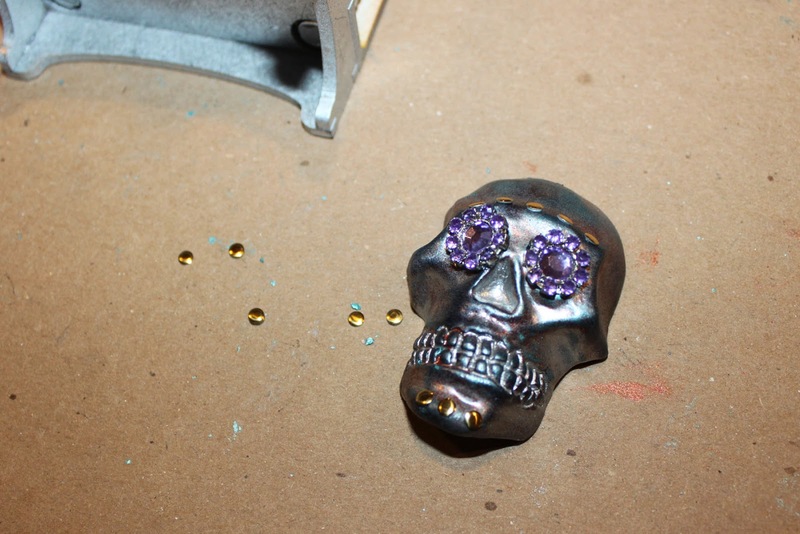 Attaching some bling was my favorite part! 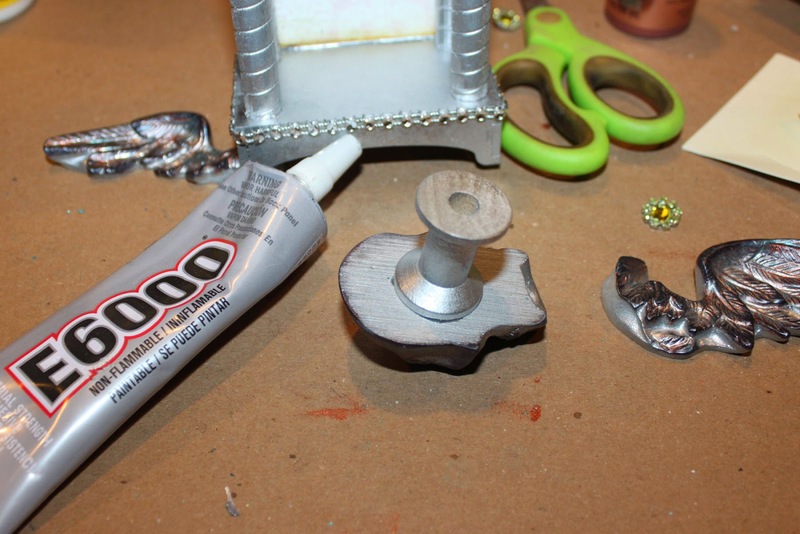 Tip: Use a small paint brush to move the tiny brass circles into place after adding a tiny dot of glue. 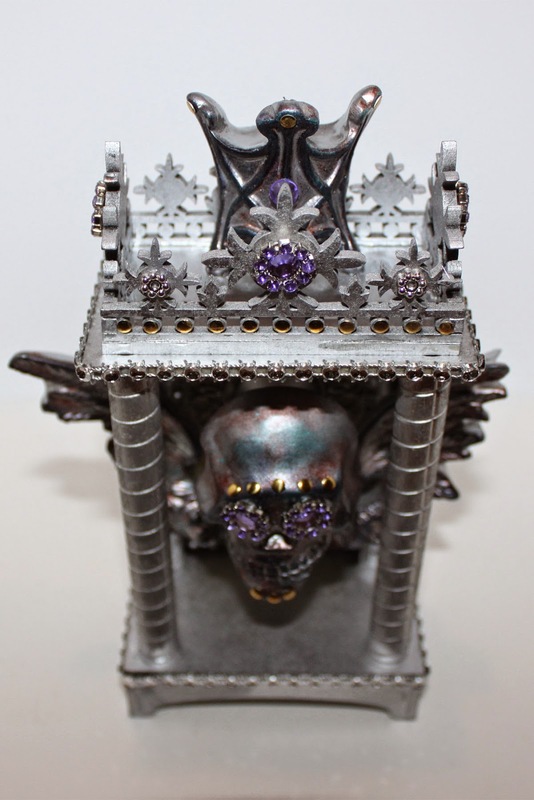 To create dimension with my Relics Skull, I attached a medium spool to the back with E6000, and then attached it to the back of my shrine. The cool wings were attached to the back pillars of the shrine using E6000. The wings have a flat back, making this really easy. 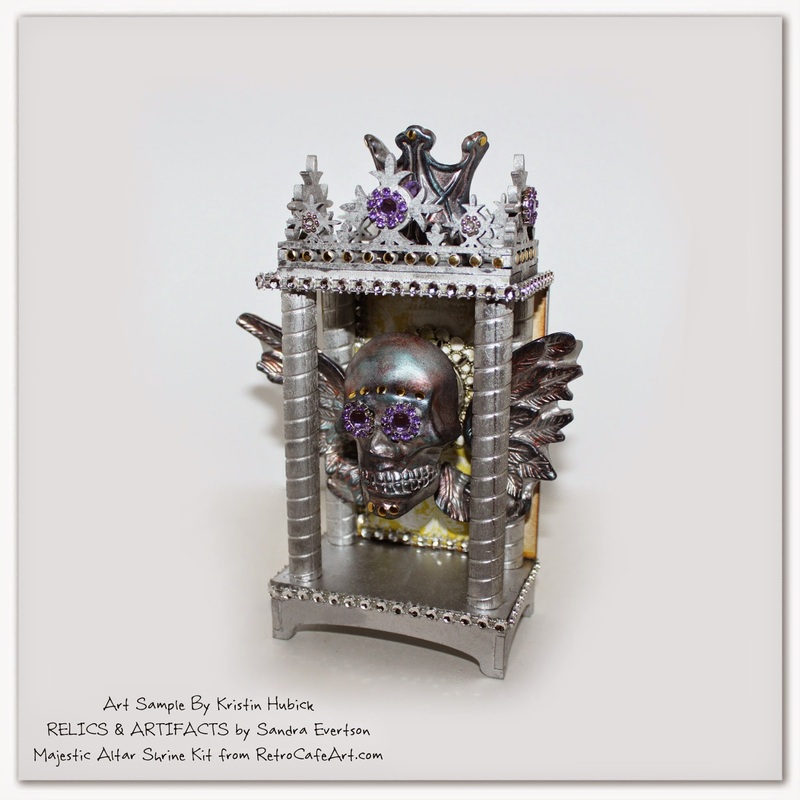 I finished things off by adding more bling, attaching the Relics Skull, and finally attaching the Relics Crown to the top of my shrine. I almost forgot to mention, I attached the image from the new Antique Damask Collage Sheet to the back of my shrine. I love the little pop of yellow, especially with the purple rhinestones! 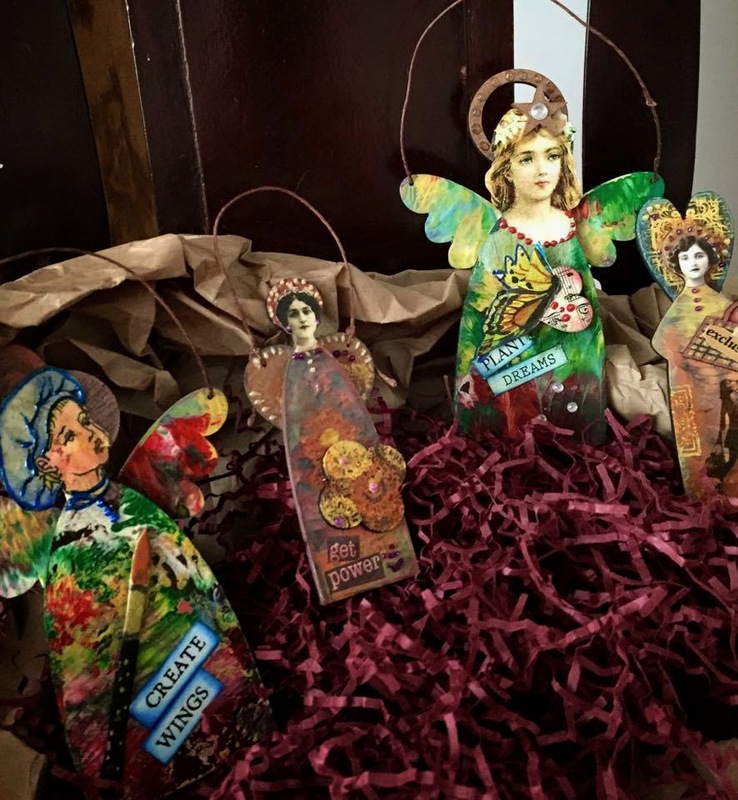 A spectacular collection of Primitive Angels created by Brenda Harris! I especially love the bright, happy, springtime colors found on "Plant Dreams". Beautiful Brenda! 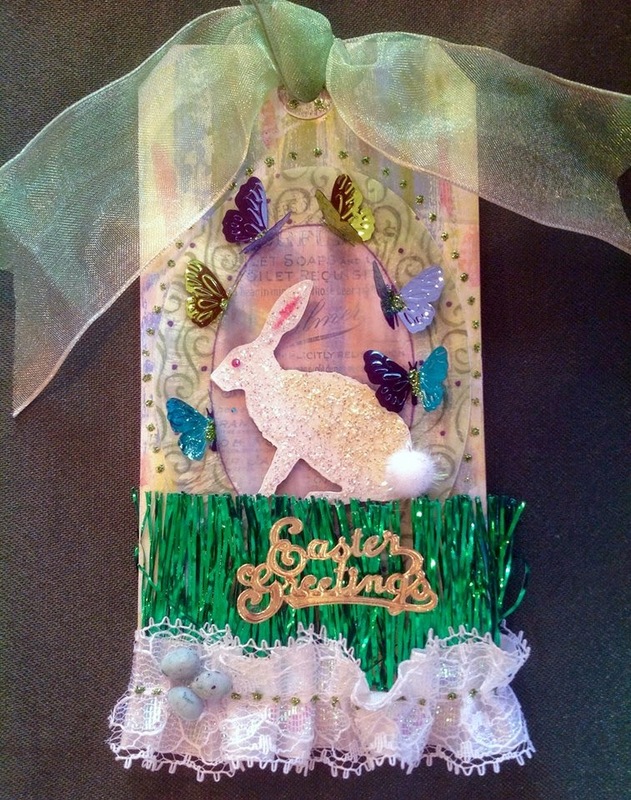 A super sweet Easter tag by Design Team Member Gerri Herbst! How perfect is her little bunny! 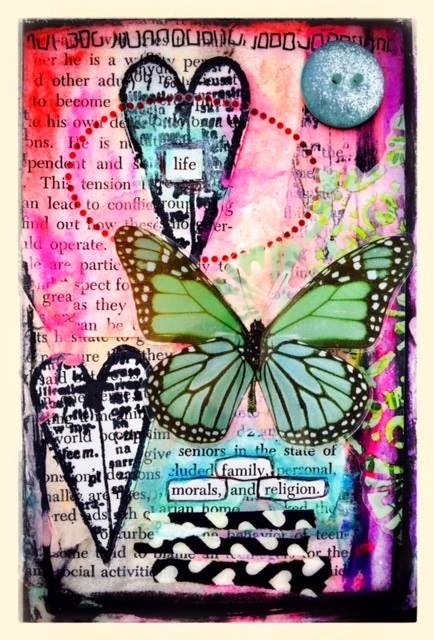 A beautiful, inspiring journal page by Design Team Member Amy Nieman! Just loving the pops of black and white! And of course the way she used her Finnabair Stamps! 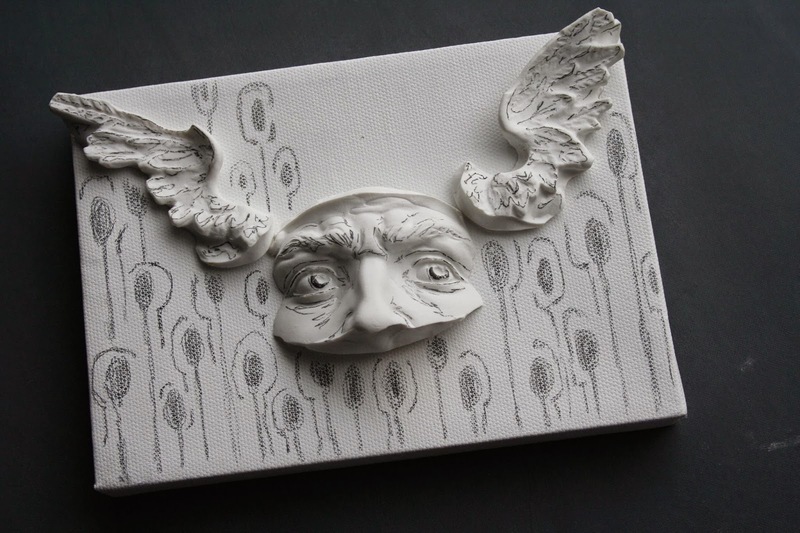 It's time for Design Team Member Linda Cain to ruffle your feathers! 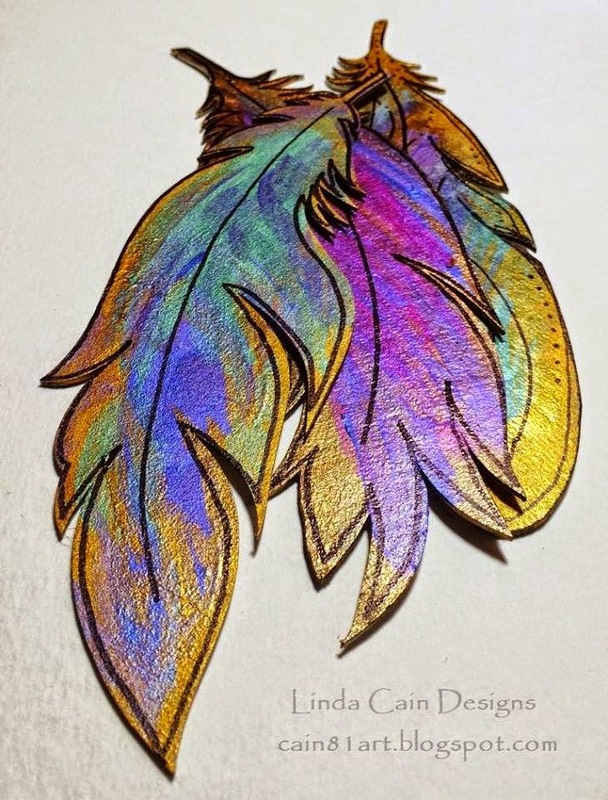 Hop on over to Linda's Blog to see her lush Mica Feathers! My favorite is the feather she covered in GLITTER! 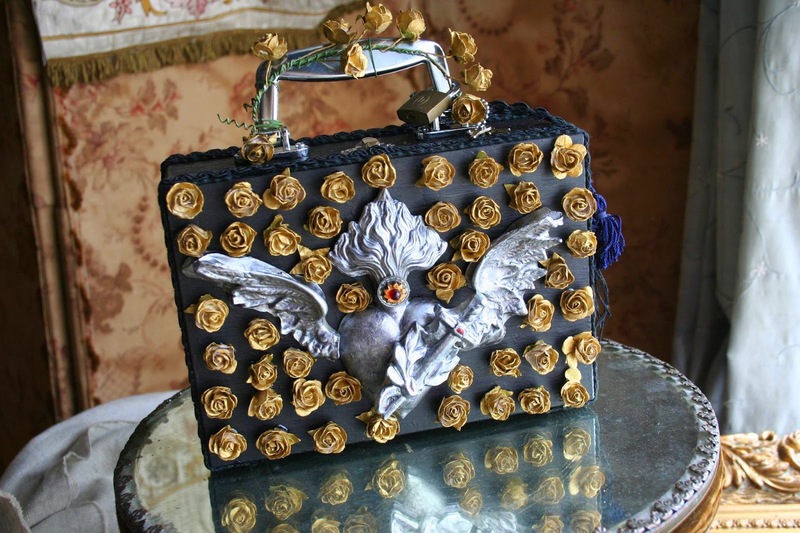 Inspiration By Tristan Robin Blakeman! 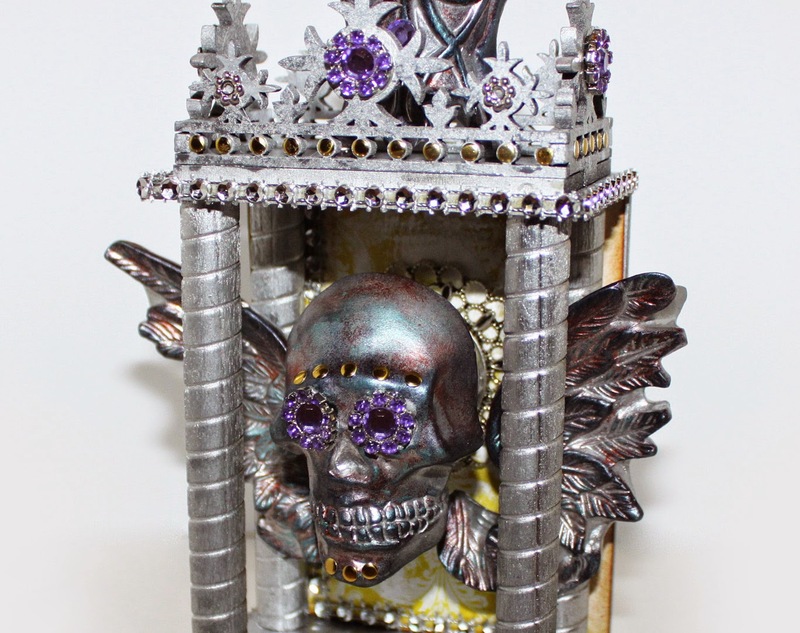 A fabulous Shrine by Tristan Robin Blakeman! 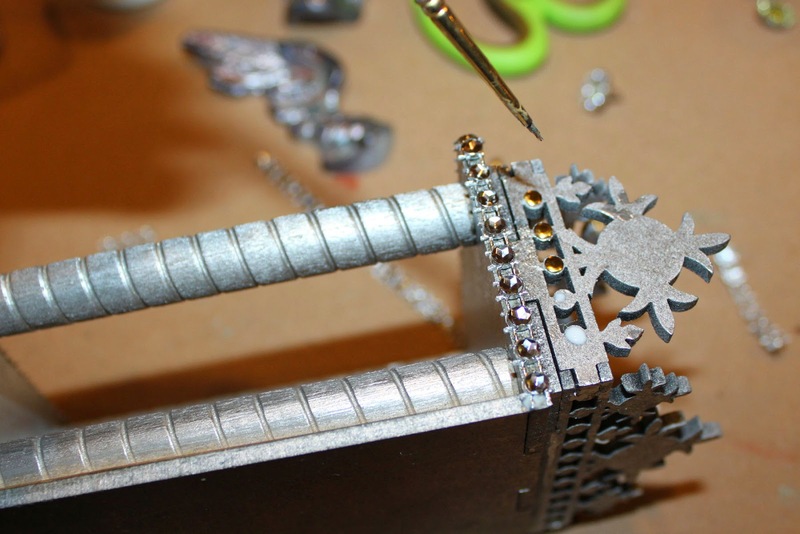 So many incredible details Tristan! WOW! 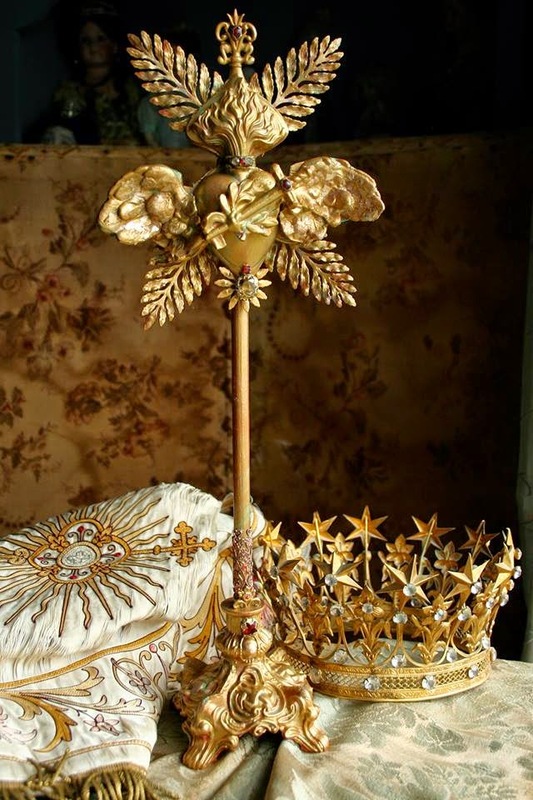 He certainly took the Regal Altar Shrine to new heights! Gorgeous! 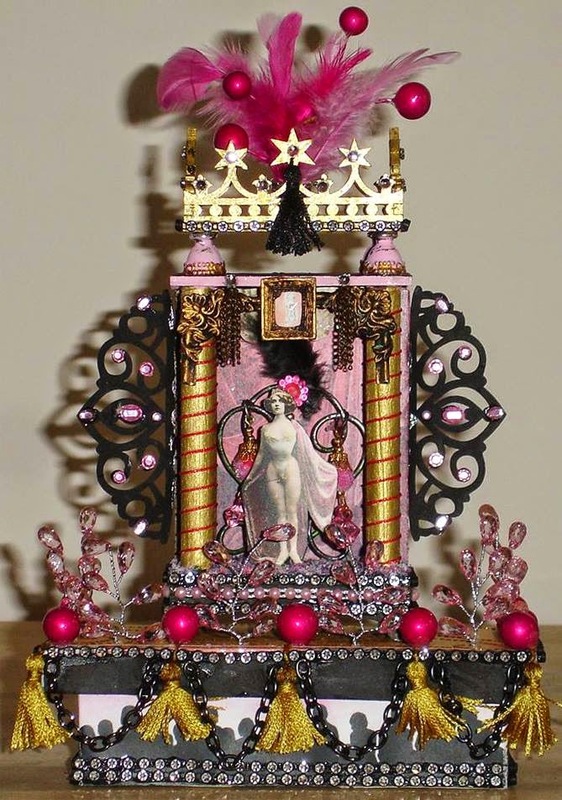 What an awesome shrine by Sandra Evertson! 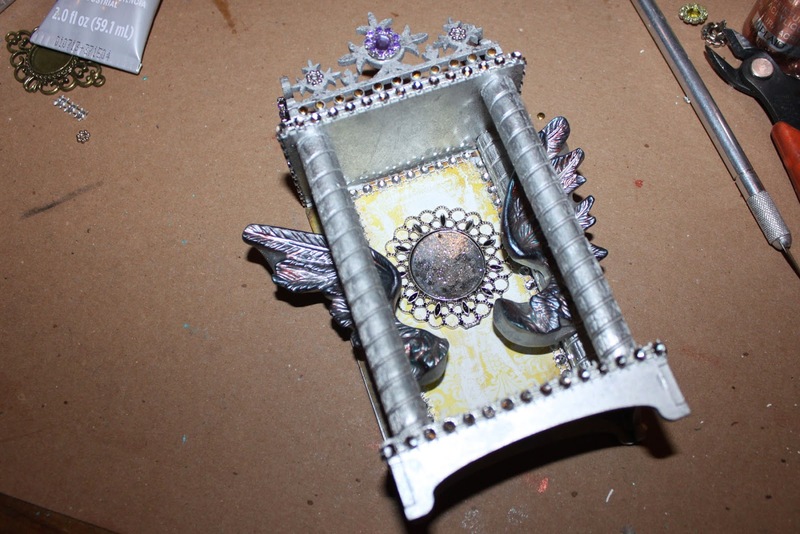 The entire composition - and the fab silver and purple color combination! - are just terrific. Some good tips thrown in there for good measure, too. Thanks for sharing! That shrine is a wow!